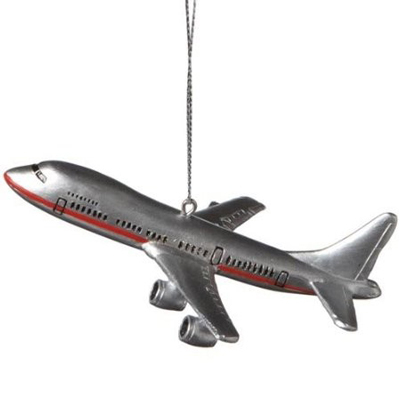 Any aviation enthusiast will be flying high with this Boeing 747 airliner ornament! Crafted of resin with realistic details, this ornament measures 4.5” x 3.5” x 1.5” and comes ready to hang with a silver cord. Review: I love this ornament just wish it had an AA on it. Review: Would buy more next year. Review: I was completely delighted with the airplane ornament I ordered. It was well made and a perfect little gife as a reminder of a special trip. Review: The ornament was as represented, came on time and was of good quality. A very satisfied customer! Review: Quality ornament which met our expectations.